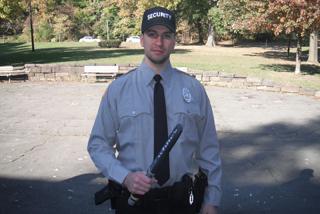 Advanced Tactical Security, a quality-first all encompassing security services company, which delivers reliable security and unparalleled customer service in the Pittsburgh Region and beyond. You can depend on our team of security professionals to protect your most valuable resources from harm and risk. Our dedicated team of security professionals is highly trained in the most updated security protocols through out the world. Our team superior knowledge and training ensure that our customers receive the best-trained officers in the area. Your security needs are too critical to be entrusted to just anyone, but highly trained Security Professionals. Our founder and CEO Andre Henderson, is a Law Enforcement Professional with a quarter century of law enforcement and security experience that enables him to understand security issues from the first-hand perspective of both customer and experienced security provider. Advanced Tactical Solutions © 2013. All Rights Reserved.